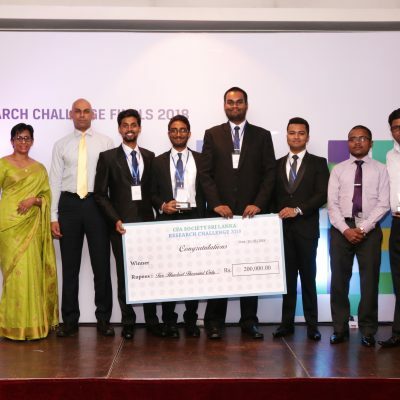 The team from the University of Sri Jayewardenepura emerged victorious at the CFA Sri Lanka Research Challenge 2018 organized by the CFA Society Sri Lanka. 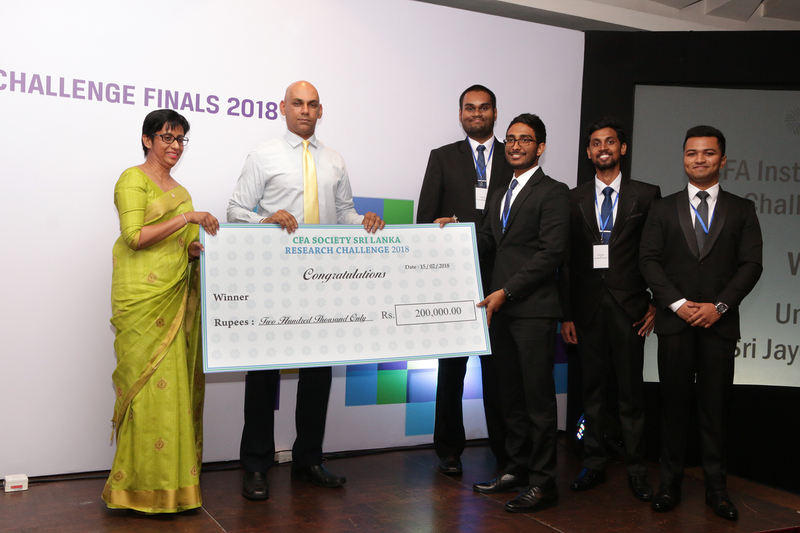 The final was held on the 15th February, 2018 at the Jaic Hilton, Colombo 02. The competition consisted of two rounds. During the first round the students had to come up with an investment thesis making a recommendation to the investors as to buy, sell or hold a common share of a PLC. The subject company for this year was Hatton National Bank PLC and the students carried out a fundamental analysis backed by a sound industry and risk analysis. 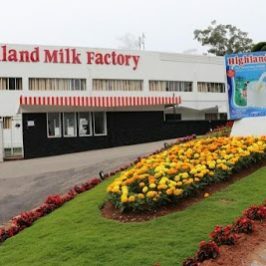 The four best teams were selected for the final round in which they had to defend their recommendation in front of a panel of judges consisting of practitioners from the industry. 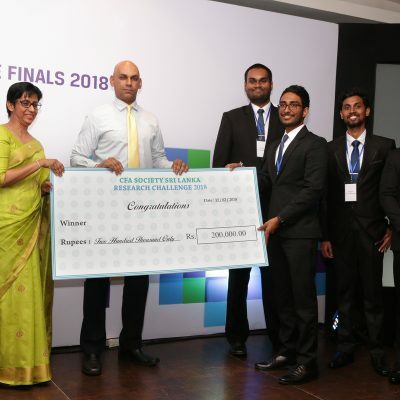 University of Colombo, University of Sri Jayewardenepura, University of Wayamba, University of Kelaniya, University of Moratuwa, Asia Pacific Institute of Information Technology (APIIT), Royal Institute of Colombo, BMS and Mercury Postgraduate Institute took part in the competition. 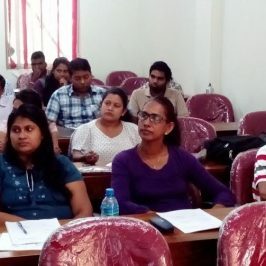 However, only the teams from the University of Colombo, University of Sri Jayewardenepura, University of Kelaniya, and Mercury Postgraduate Institute were selected to the final round. 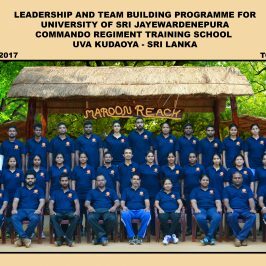 Team Sri Jayewardenepura comprised of Mr. Vinu Wijemanna (team leader), Mr. Dakshitha Vithanage, Mr. Dimuth Jayewardene and Mr. Rachitha Wickramasinghe. 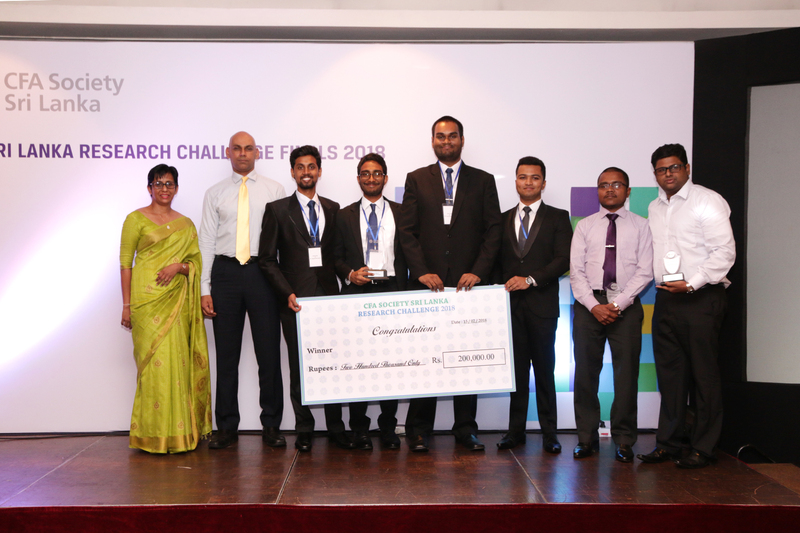 Faculty mentor of the team was Mr. Sampath Kongahawatte and the Industry mentor was Mr. Rasanja Perera,CFA. 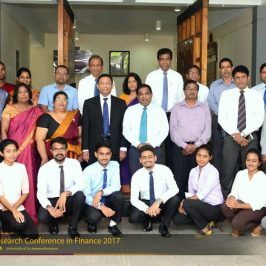 CFA Sri Lanka Research Challenge is one of the most sought after competitions for university students and this team of students from the Department of Finance with the guidance of the head of the department , Prof. D.B.P.H. 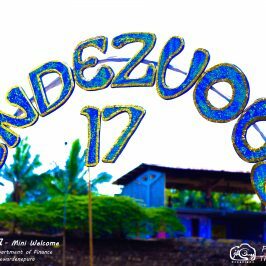 Dissabandara and the other academic members of the department achieved this feat after several months of untiring effort. 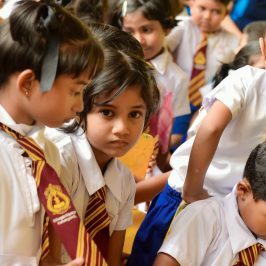 Students will now participate in the regional finals held in Malaysia on 25th and 26th of April 2018.